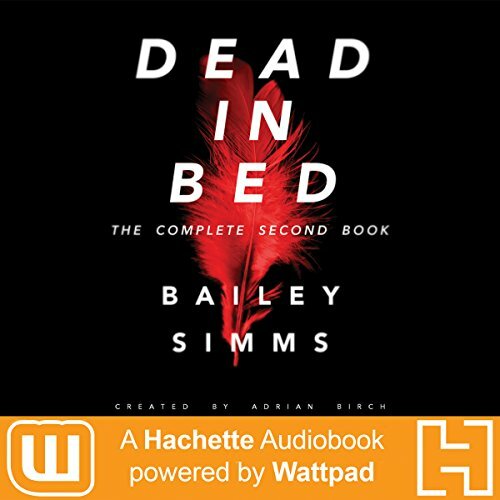 Dead in Bed by Bailey Simms follows Ashley Young after a sexually transmitted plague breaks out in her small town. When the plague begins leaving its victims with bizarrely amplified libidos, Ashley has to be willing to do anything - no matter how difficult or morally questionable - in order to survive. Meanwhile, a meta-narrative follows Bailey Simms, teen author of Dead in Bed, while she's stuck writing at home with a rare medical condition. As Bailey's book grows in popularity and her fans start to clamor for the sequel, she learns that being a successful author may come with a terrifyingly dangerous price.